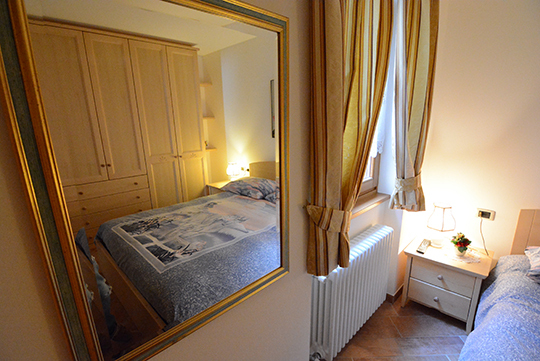 Casa Elena is a modern holiday home in rural-style situated in the heart of the village of St. Bernardo di Rabbi. The structure consists of four apartments (located on the same floor) where each of them can accomodate up to 4 people. 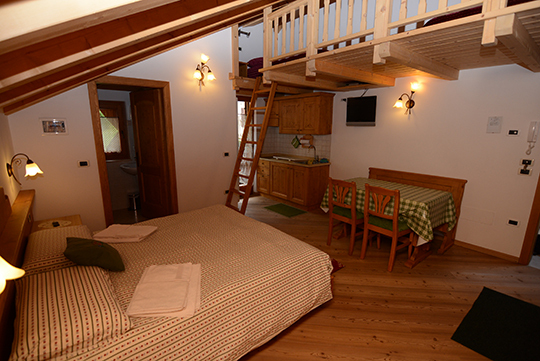 Each apartment offers a double bed and two single beds (located in a loft- see picture below), kitchenette, bathroom with shower, and balcony overlooking the beautiful scenery of the valley, including the waterfalls of Valorz. Internet wi-fi free! It’s also available one bigger apartment which can accommodate up to 6 people, consisting of three separate bedrooms, bathroom, kitchen-living room, cooking electric plate (4 positions) with oven. 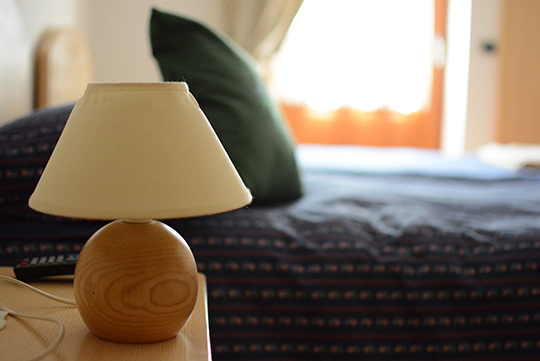 Each unit has TV, hair dryer, independent heating, private parking. Thanks of its location, Casa Elena offers the ability to reach by walking all services of the small village of St. Bernardo; also provides an easy starting point for many proposals both winter and Summer: from hiking and mountain biking, rock and ice climbing walls, fishing in the charming Rabbies and nature walks in summer, – to downhill skiing, cross country skiing and snow-shoeing in winter.